Doing the Wine Blogging Wednesday wrap-up took me a little longer than expected because I wasn’t able to get the post up before Hubby and I left for vacation. However, we’re back and I’m ready to jump back into blogging. Lisa from 110 Pounds and Counting commented on the initial WBW #77 post and suggested Trader Joe Coastal wines. I haven’t had the chance to try one yet, but the conversation prompted me to pick-up a bottle of the Sauvignon Blanc! Romance novelist Suzanne Ferrell shared on Twitter that she’s a White Zinfandel sort of girl, but that she would also consider a peach Bellini. The Brix Chicks were clearly having a rough go of it. Brix Chick Heidi had two bad days in a row to test out good wines for after a bad day. While her philosophy is to grab something “pink with a screw cap for quick access, and chilled to cool me off (or down),” the bottle she opened after her first bad day didn’t do the trick. After bad day #2, though, she opened the 2011 Quivira North Coast Rosé, which sounds like it hit the right spot. Work was already giving Brix Chick Liza lots to drink about when WBW #77 was announced, so she was already into her 6-week experiment with the Ocatvin 3L Big House Red. The Wine Predators had several thoughts on what to open after a bad day at work, and it sounds like Art Predator, Que Syrah Sue, Bacchus Schmacchus, Ima Zinner, and Annie AnyDay had quite the gathering to taste test all of the options. Wine Muse was inspired by not just a bad day, but a bad week, and used WBW #77 as a chance to pop open some Ayala Zero Dosage Champagne. Talk-A-Vino explained that he looks for four criteria in his “pick me up” wines—that the wine is ready to drink, familiar, has a great smell, and is, well, good. He also shared four examples that fit the bill. As someone who goes for the big, brooding wines after a bad day, I opened the 2008 Ottimino Rancho Bello Vineyard Zinfandel. Several folks went outside the box and picked A Glass After Work that wasn’t actually wine, which was a lot of fun. One A Glass After Work Facebook commenter said she usually goes for a beer after a bad day. Brix Chick Xandria wrote how her boss from hell had her reaching for something stronger than wine—the Balvenie Madeira Cask 17 year old Single Malt Scotch. Over at Wine Compass, it sounds like the warmer weather called for Foggy Ridge Cider instead of wine, whiskey, or rum. Sip With Me teased readers by virtually serving Cana’s Feast Chianto D’Ebretti, which is the first US version of a historic Italian beverage that sounds like it could absolutely be the drink we’re all looking for after a rough day. Thanks to everyone for participating! 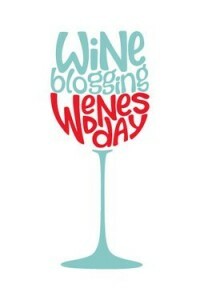 You helped make my first Wine Blogging Wednesday a success. I put together a WBW #77 board on Pintrest, this way you can keep these suggestions handy should a bad day at work strike. Finally, Frank from Drink What YOU Like just announced Wine Blogging Wednesday 78 – Get Yo Viggy On! So, you have until June 20th to get your hands on a bottle of Viognier for WBW #78. Thanks for hosting and writing the wrap-up! The wines we discuss are 3 by a local winery Cantara Cellars, a port, and a Wildhorse Cabernet.